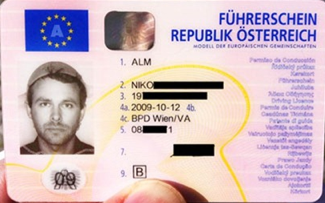 Apparently, Mr. Alm is a member of the The Church of the Flying Spaghetti Monster (Church of the FSM), a religious group that believes the universe was created by a flying spaghetti monster. Whether you’re laughing right now or you just think this guy is crazy, one thing is for sure; it really points out the absurdities of organized religion. I’m not here to spew my beliefs or offend anyone else’s, but I have to say that this guy’s point is well-taken. It’s a satirical take on how organized religions operate and define their existence by mystical gods and other higher beings. 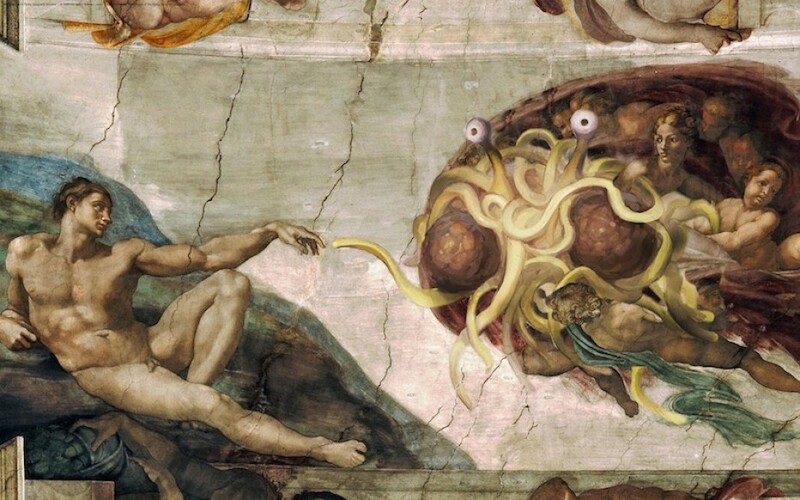 “Pastafarianism is a real religion. Most of us do not believe a religion – Christianity, Islam, Pastafarianiasm – requires literal belief in order to provide spiritual enlightenment. That is, we can be part of a community without becoming indoctrinated. There are many levels of belief. Whether or not this church is the real McCoy is not the point. The fact is that it does exist. For those seeking hope and direction in life, but have not found it within the more modest religions available might find comfort here. Those who don’t believe in higher powers can relish in the satire. Others can simply watch in horror or pleasure. I’m not a fan of organized religions. I don’t believe that the way we live our lives should be dictated by a scripture written thousands of years ago. If you have religion for direction in life and it helps, then more power to you. If it consumes your life and you might be borderline insane, then I hope your god can help you. Either way, as long as you’re not hurting me or the people around you, you’re ok in my book! What I love about the Church of the FSM is how it goes to prove that anyone, anywhere can follow a belief system and find themselves content in life. While a flying spaghetti monster might sound a little un-believable to you, I bet the followers of this church and those who don’t have a church find it un-believable that a man built an wooden boat and saved two of every animal on the planet from a 40-day flood.